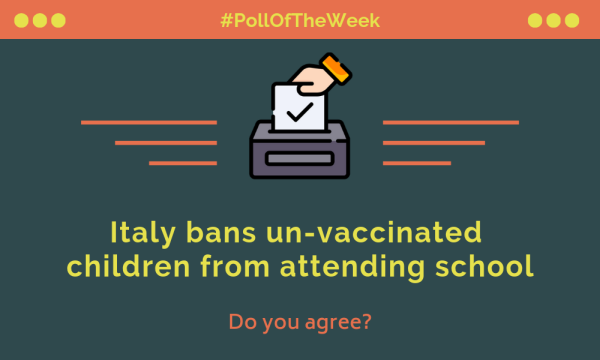 Concerned over the outbreak of diseases, Italy is refusing unvaccinated children from attending school. A policy named after former health minister, the Lorenzin law, makes it compulsory for children under 6 to get a range of immunizations before attending school. Parents have been asked to ensure their children have been administered compulsory vaccines or risk being fined up to €500. The list of 10 vaccines includes polio, chickenpox, measles, mumps, and rubella.